Radio and television personality Cindy Ogana has recalled an incident in which she was discriminated against over her skin colour. 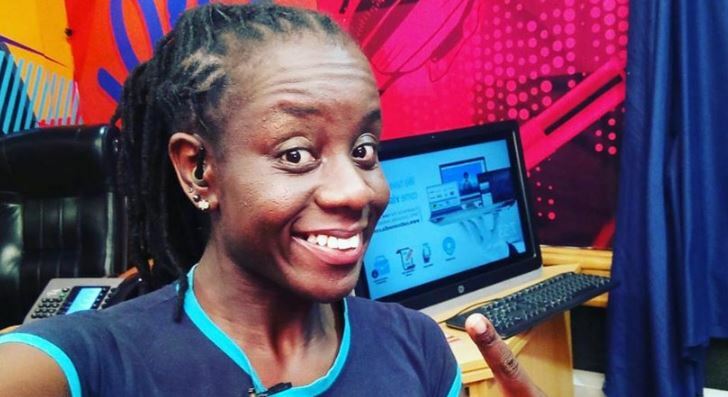 Ogana, who used to host the breakfast show on Hot 96, says she was rejected for a plum TV job because of her dark complexion. Without mentioning which television station, Ogana added that her dreadlocks also played a part in the rejection. The mother of one, who is one of the panelists of NTV’s ‘The Trend’, further disclosed that the rejection strengthened her resolve to keep the dreads and steer clear of skin lightening cosmetics. “I am dark skinned, I have my dreads and I have my big mouth and then I’m also not very keen on the makeup and everything. Leaving that show further cemented my resolve to always be natural, to never bleach myself. Whatever season my womanhood takes me through whether it’s my menses, my pregnancy I will always be natural and will always keep my natural hair,’’ she said.